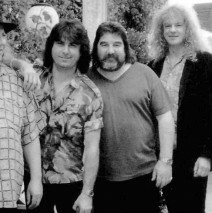 Peter Green’s Splinter Group promo picture from 1997. L-R: Peter Green, Cozy Powell, Nigel Watson, Neil Murray, Spike Edney. 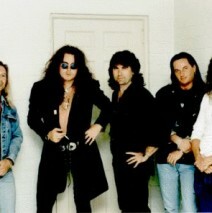 Cozy (center) with Yngwie Malmsteen’s band in 1997. 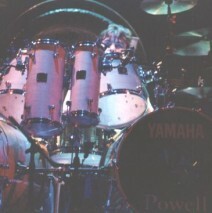 This is a photo of Cozy Powell playing live on the Black Sabbath Forbidden tour 1995. Photo by Tim Shockley. 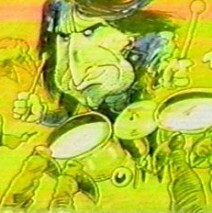 This is a picture of Cozy Powell from his appearance in the music video for “Get a Grip”, from the 1995 Black Sabbath album, “Forbidden”. 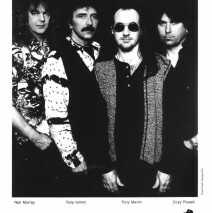 This is a promo picture for the Forbidden incarnation of Black Sabbath in 1995. 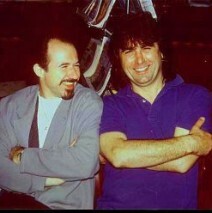 L-R: Neil Murray, Tony Iommi, Tony Martin, & Cozy Powell. 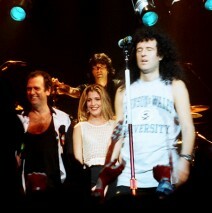 At a Brian May band concert in 1993. L-R: Spike Edney, Cathy Porter, Cozy Powell & Brian May Photo by Steve Latham. 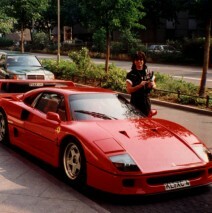 Cozy with another Ferrari (not his) in 1993. 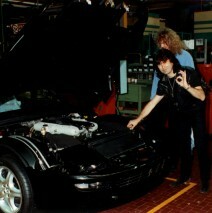 Cozy & Neil Murray at at the Ferrari factory in Maranello, Italy in 1993 during the Brian May/Guns n’ Roses tour.